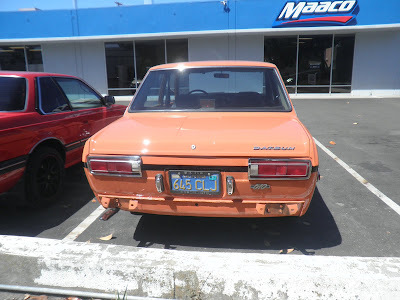 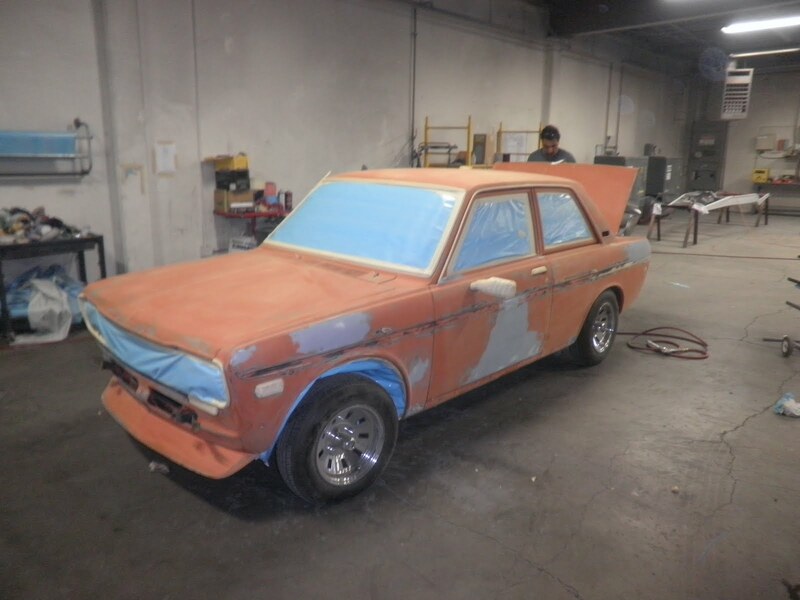 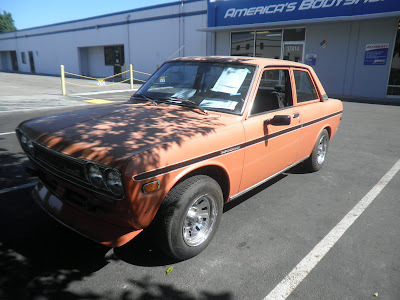 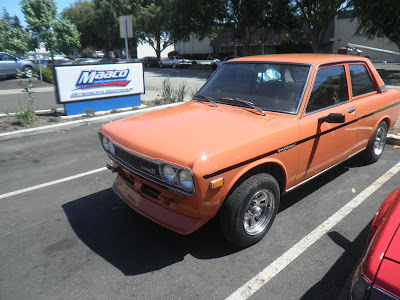 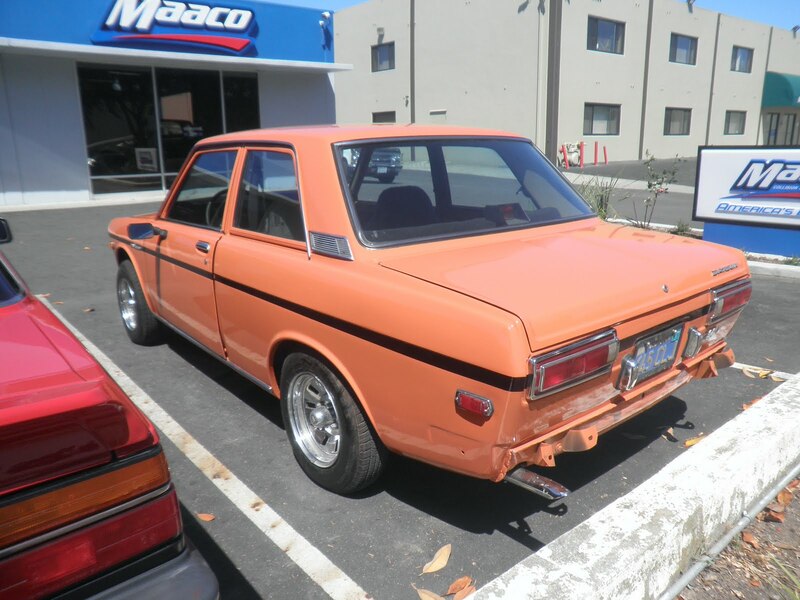 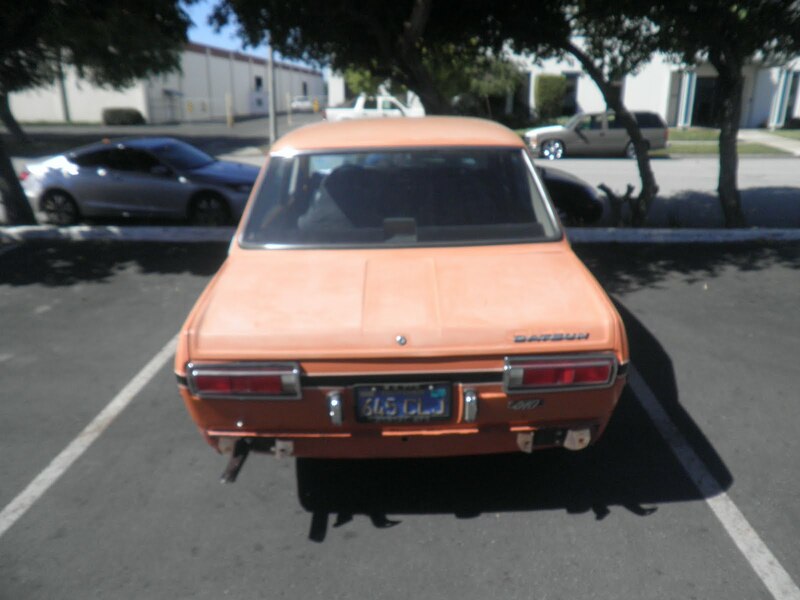 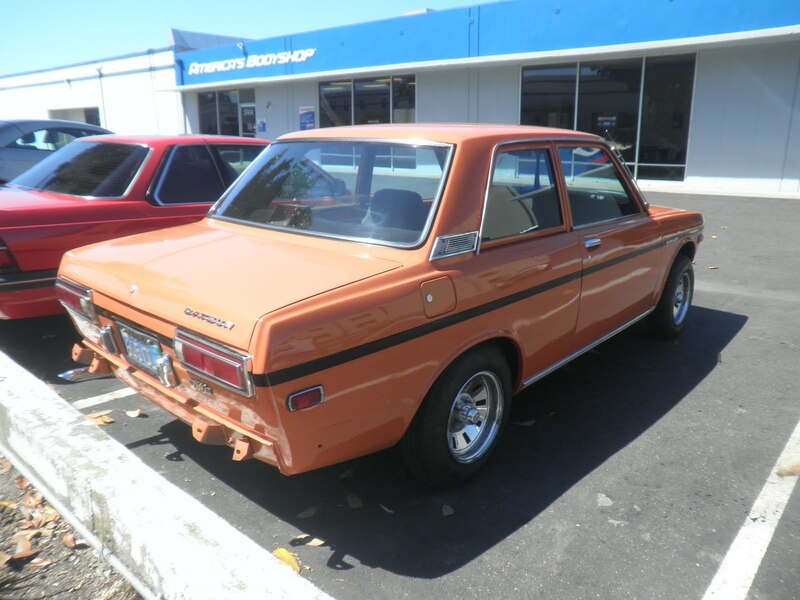 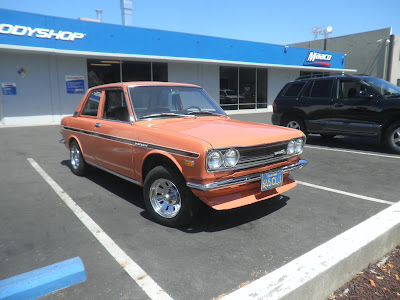 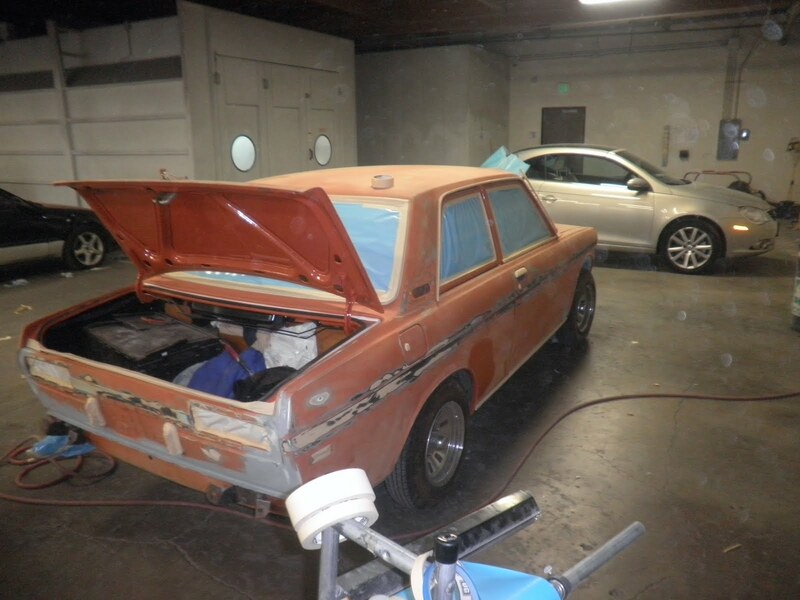 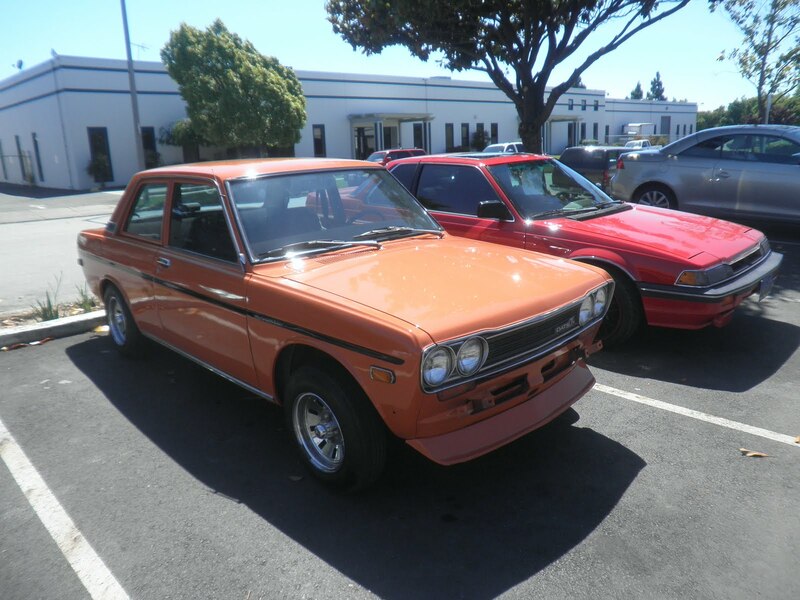 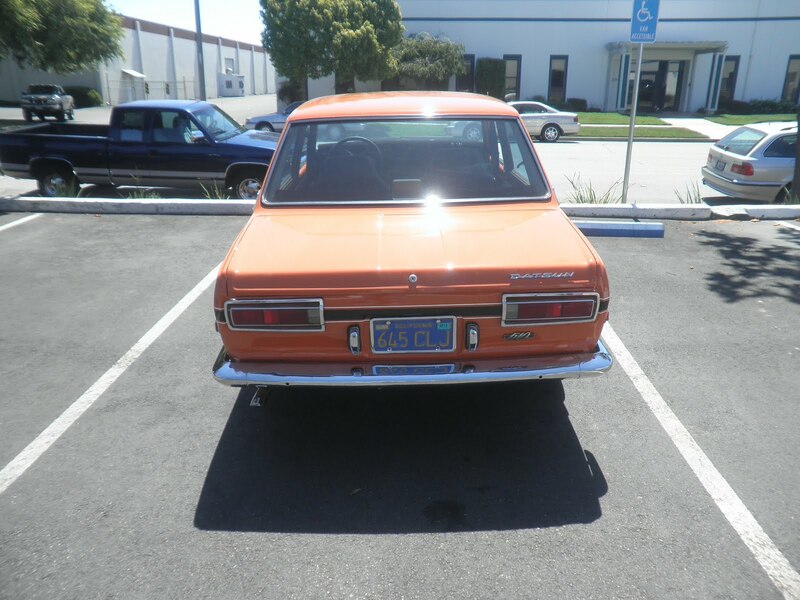 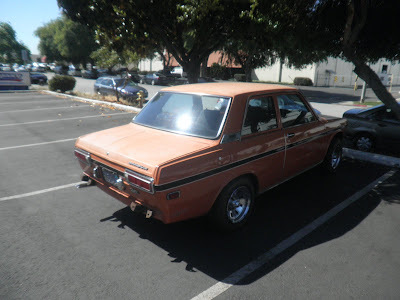 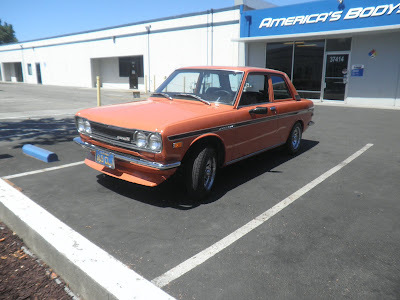 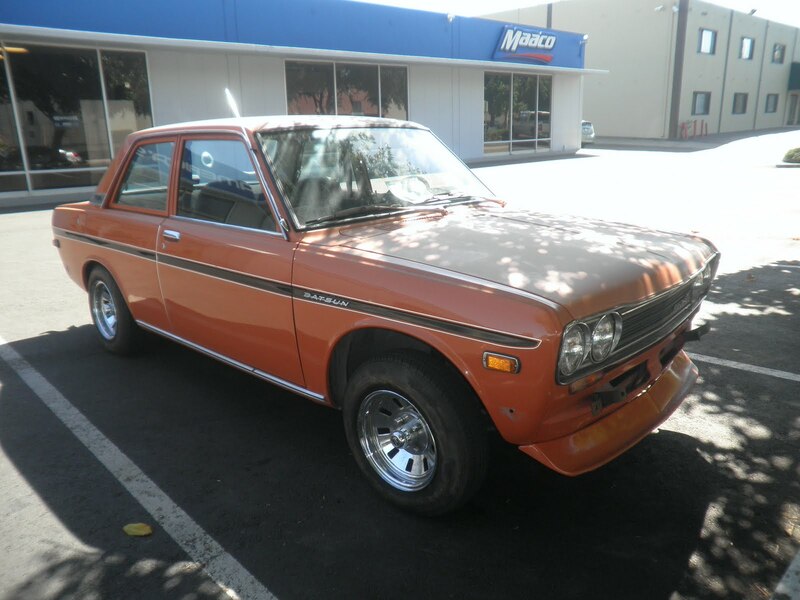 Almost Everything's Car of the Day is a Datsun 510 that the owner bought new in 1971. 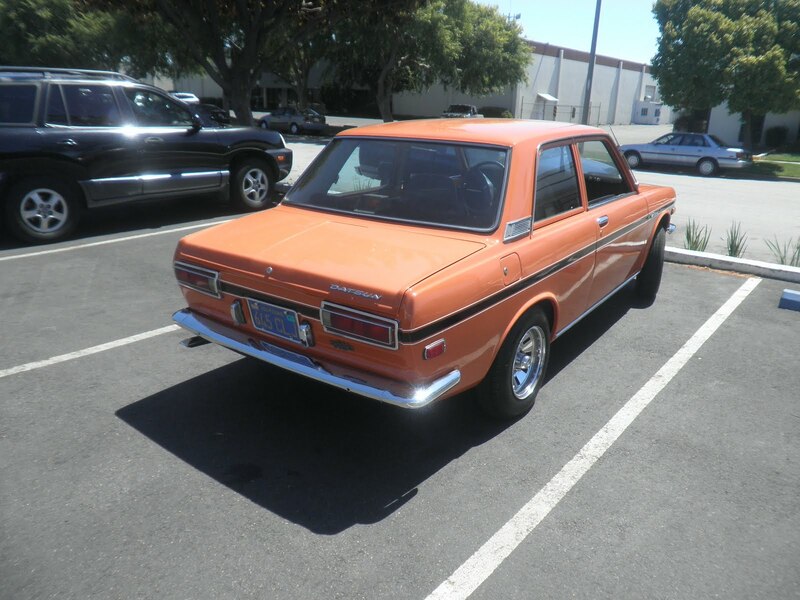 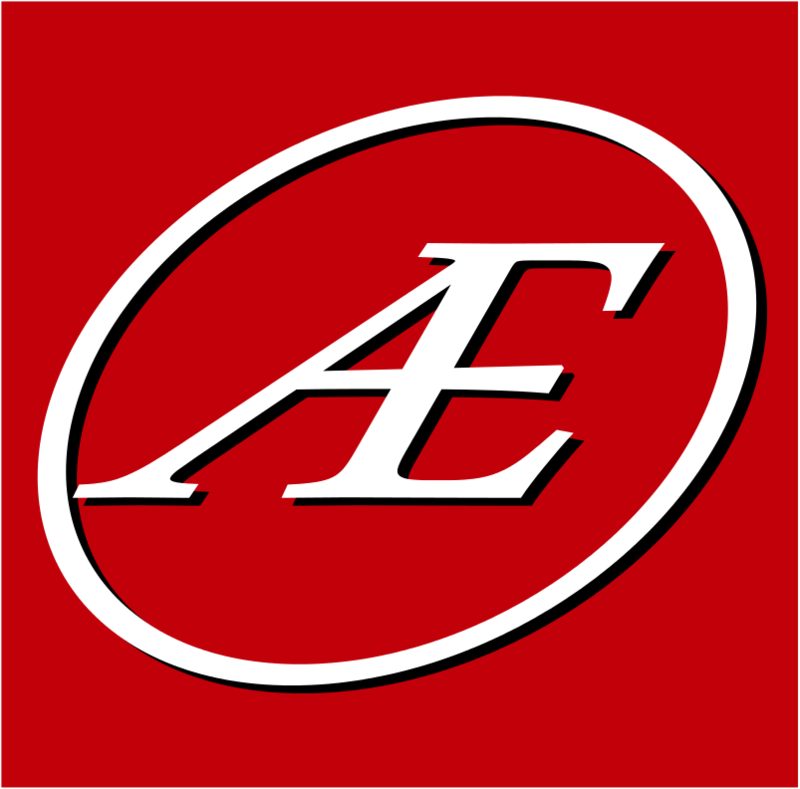 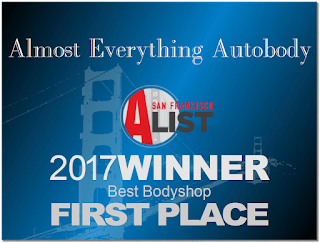 The alloy wheels & racing stripes were original options from the dealer. 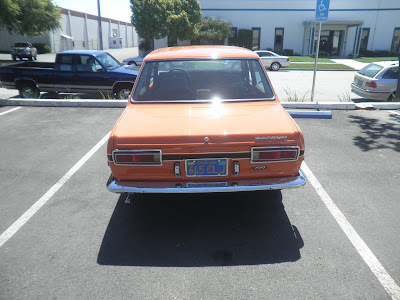 Datsun, as you probably know, became Nissan. 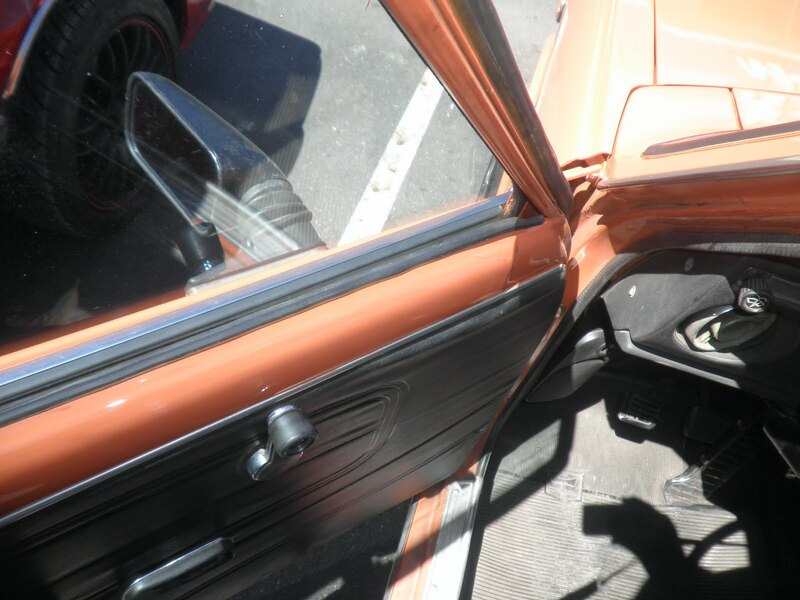 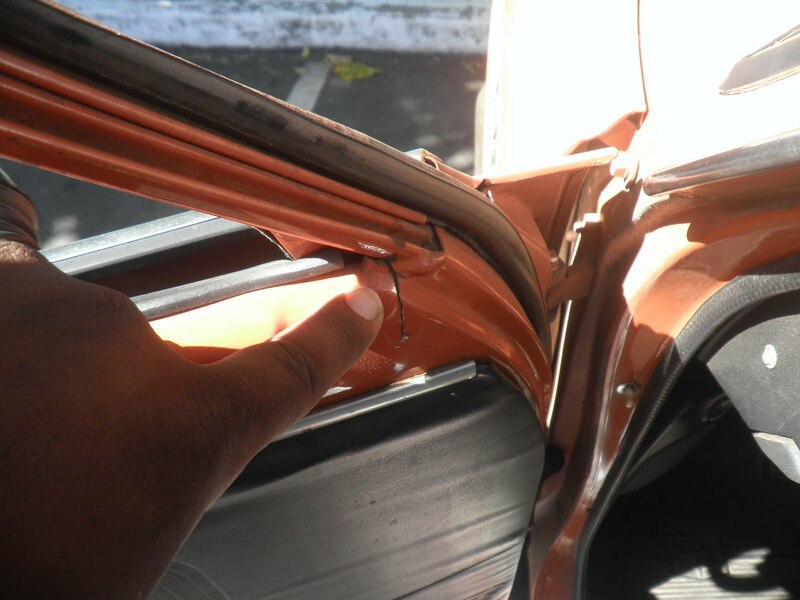 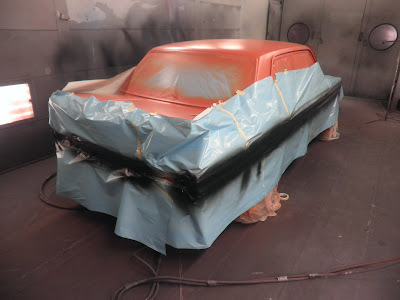 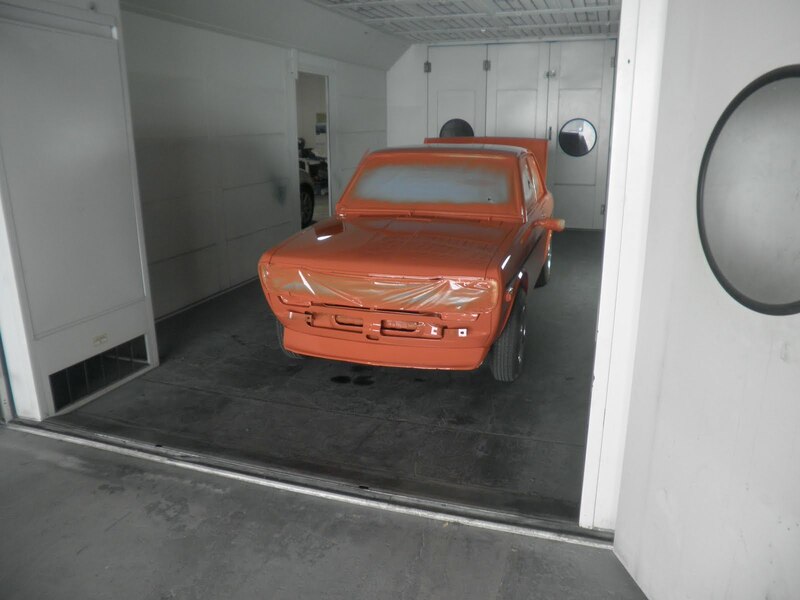 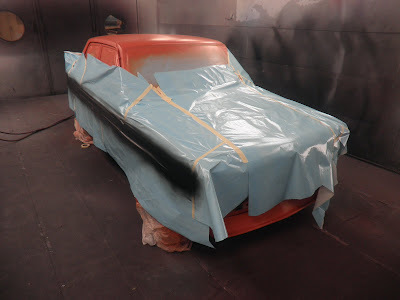 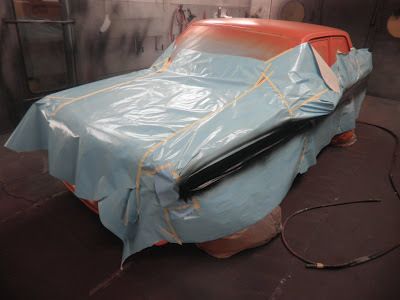 The paint had faded, there were dents & rust spots, the driver's door frame was cracking and old welds were failing. 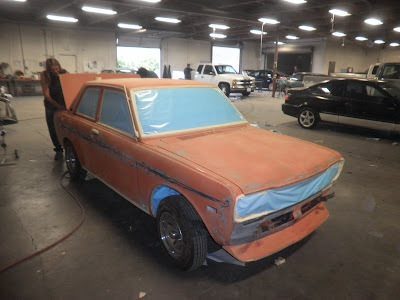 Almost Everything fixed the dents, welded the cracks and removed the rust. 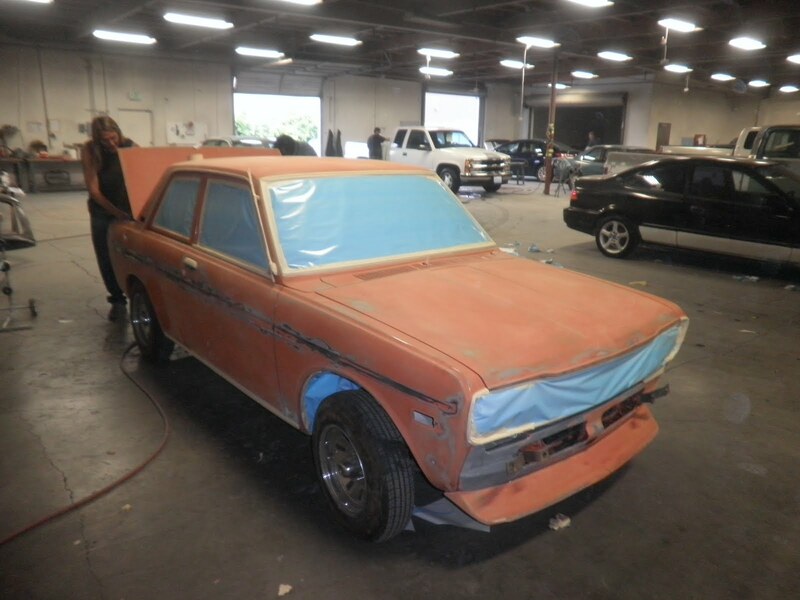 The owner removed the bumpers and plans to recreate the white pinstripes himself.